Locality: U.S.A., Nevada, Humboldt, Pueblo Valley, Crescent Dunes, 1 road mile south of Denio on highway 140. East of the highway. Verbatim Coordinates: 41.98202 N 118.63168 W ± 1127 m /// T47N R30E S4 . Habitat: On sand dunes on the valley floor. 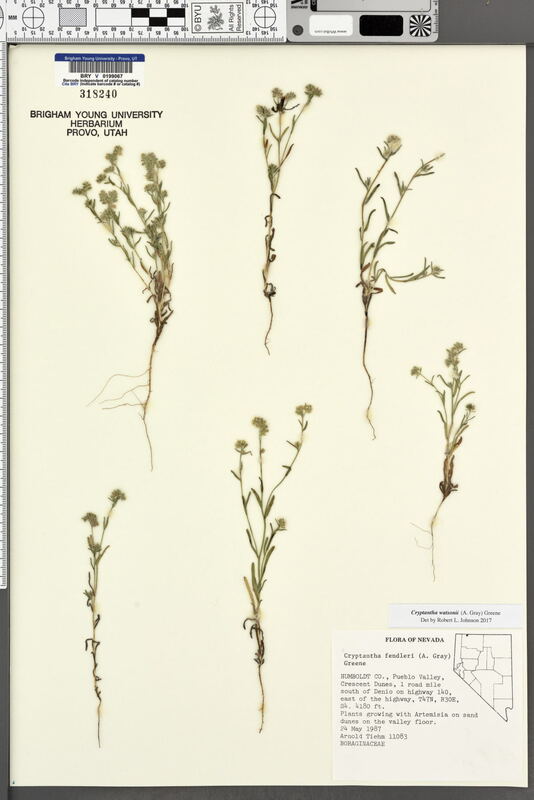 Associated Species: Plants growing with Artemisia.